A project supported by Intelligent Energy Europe triggering the successful implementation of Nearly Zero Energy Buildings throughout the EU. 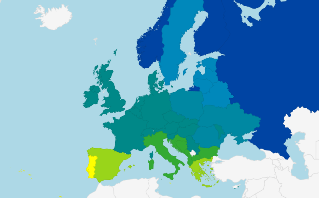 14 Partners, 11 Countries, 3 Years, 1 Goal: Supporting the growth of Passive House regions towards an EU energy revolution. The PassREg project ended in April 2015 and all the deliverables, important best practices and related resources can be found here. 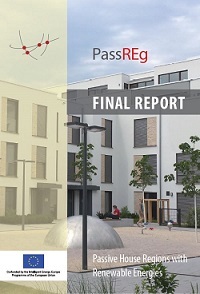 The final PassREg report is also now available for download! An output of the PassREg project was the creation of an accesible informational brochure that informs of the successes of the PassREg regions and most importantly, provides strong examples of how municipalities can implement NZEBs through the use of Passive House and renewables. 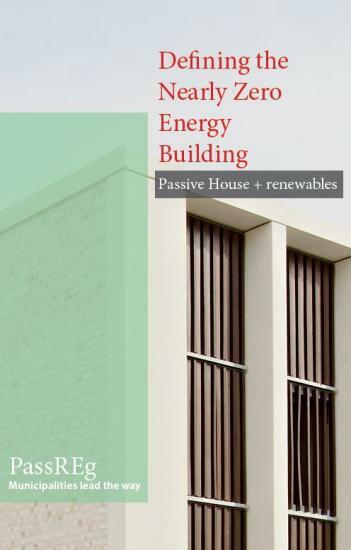 The brochure is ideal to be shared with local politicians and relevant municipal representatives in assisting in defining the Nearly Zero Energy Building and providing compelling measures that municipalities can implement for the building sector in achieving policy goals and regulations. 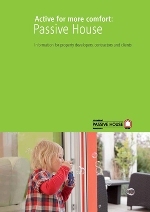 A new chapter now also documents the winners of the 2014 Passive House Award!